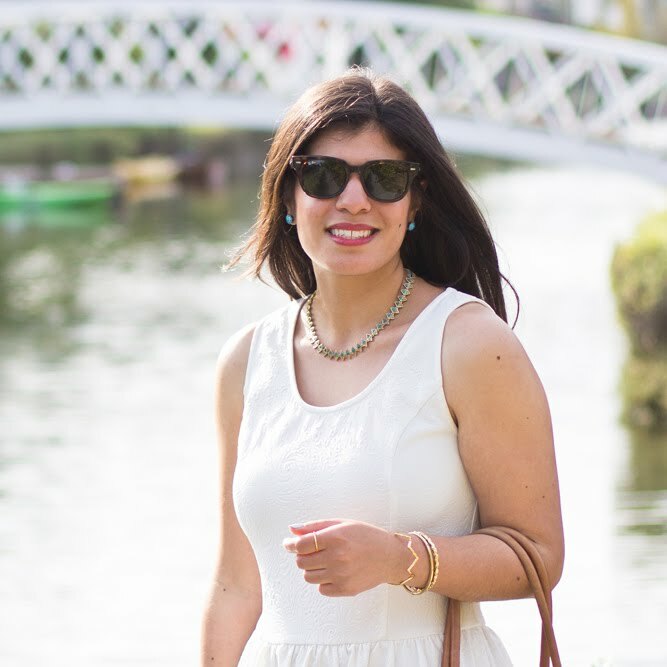 "I have the courage to make positive changes in my life." 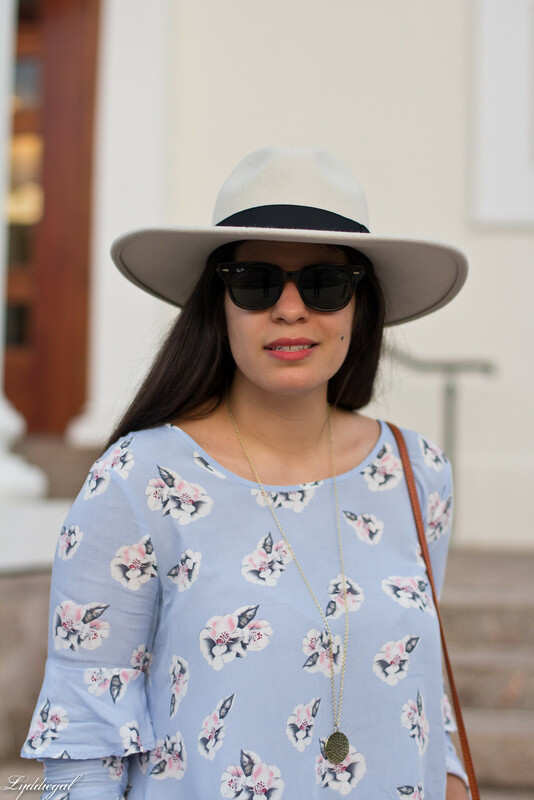 Pastels, florals, a straw bag, a wool fedora... what season is it anyway? I was listening to a Hidden Brain podcast about making decisions recently, and one of the things which stuck in my head was that the hardest part of making a decision is making it. Once you've made an irrevocable decision, your brain will do everything in it's power to convince you that you've chosen correctly, and that your current outcome is the best. I hope that is right, though I suppose if it isn't, the next episode in my queue is about regrets. 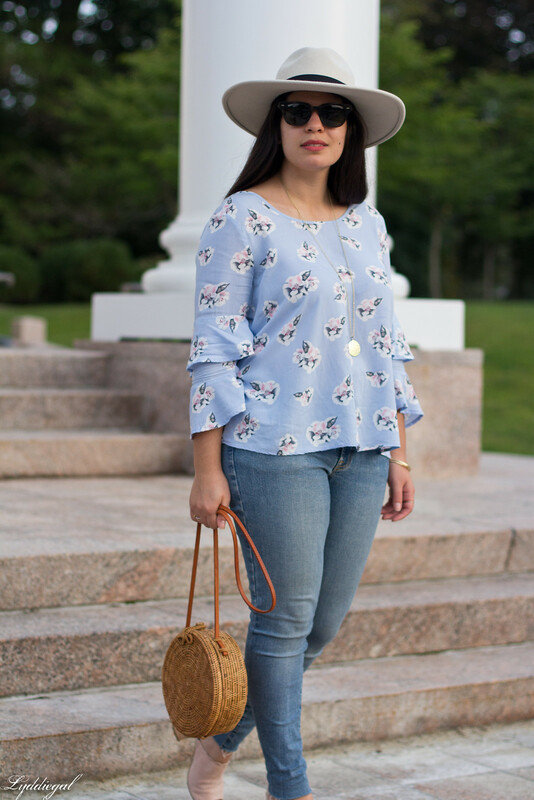 I love the light blue of that blouse, goes so nicely with the jeans!! That podcast sounds really interesting - and the piece about the decision making process and how we then relate to our decisions strikes me as really apt. I definitely convince myself, after the fact, that a decision I've made is the right one...I feel like we'd all go a little batty and be living in a state of near constant regret if our brains didn't do that, right? 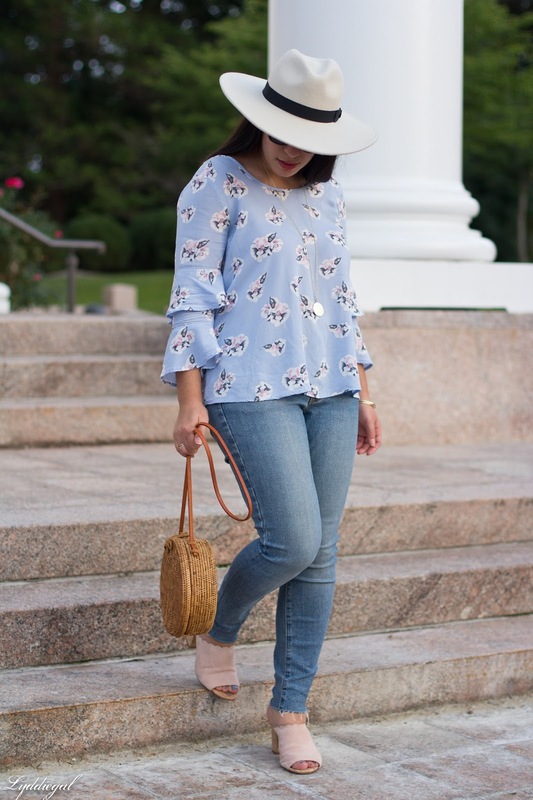 That top is so pretty and I love the scalloped detail on your mules! I definitely justify every decision I make, but that is the easy part. Love the beautiful top you have on! The ruffles on the sleeves are beautiful! I am in love with that little bag, although summer is almost over I still want one. I agree that making the decision is often the hardest part! I love this outfit, the top is such a pretty piece. Everything is so cute! 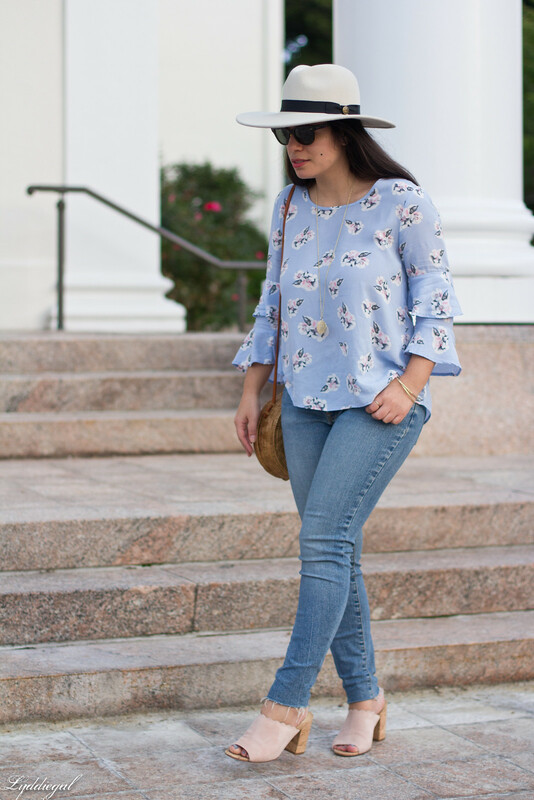 Love the print and sleeves of the top, and the scallops on your shoes are adorable! I'm so glad you're still wearing your open toed shoes, Lydia!!! Fabulous outfit, and have a wonderful weekend! 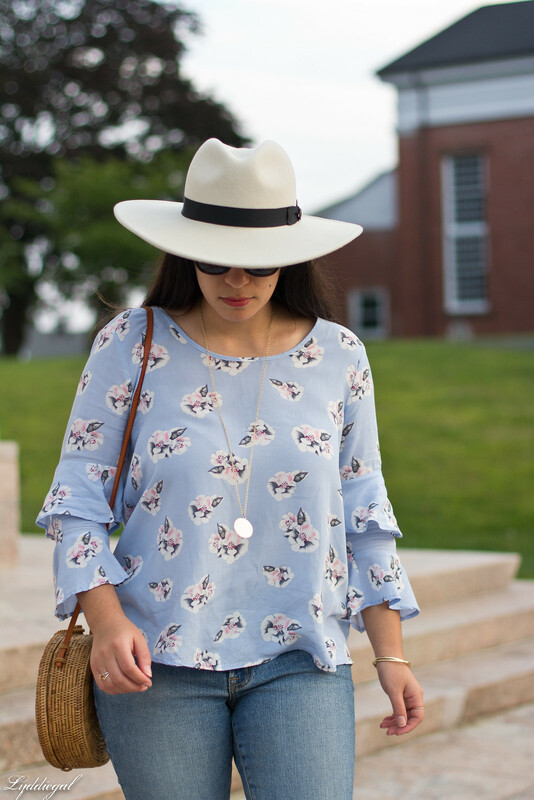 Love this gorgeous blouse on you! The sleeves are so pretty and those mules are great! This is such a pretty look! I love the sleeves on your blouse! I'm also loving those blush mules! I'm such an indecisive person, making decisions is tough for me, I like to get advice before making big decisions. Means it can take me a while sometimes haha! I love your floral blouse, I had my eye on a very similar piece during my no-shop challenge and I was saad when it sold out and I couldn't buy it after the challenge was over. I keep seeing similar pieces around and so I'm hoping I'll maybe find the top I liked on ebay or something! I love the simplicity of your outfit babe. 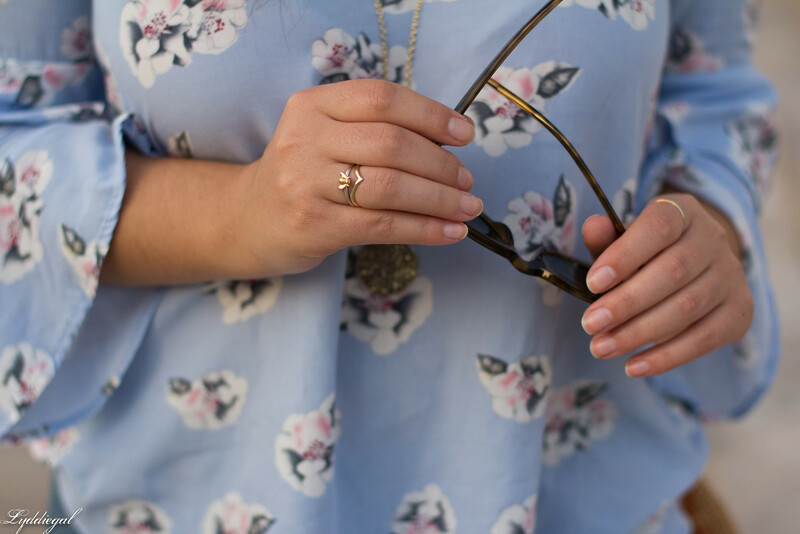 The floral prints are really cute, and the whole look is effortless, yet beautiful. Very nice outfit! 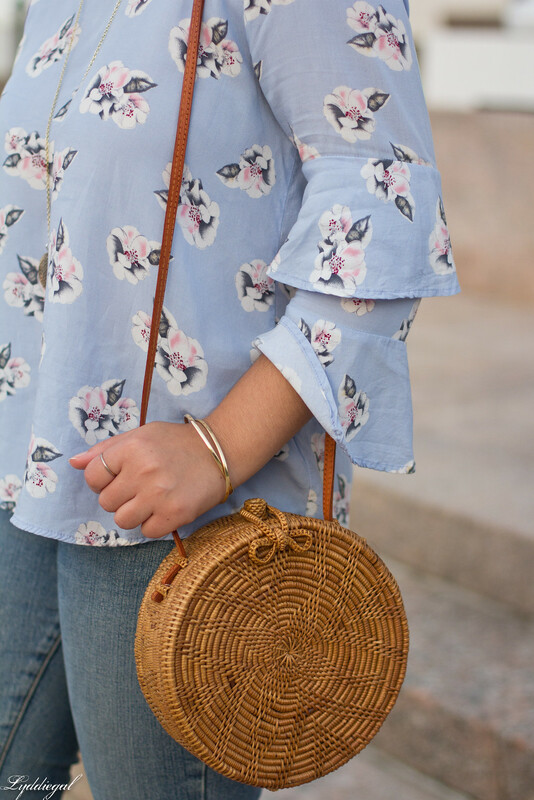 Great blouse and bag!